Control Panels | Metro Services Inc.
Metro Services, Inc. (MSI) control panels (including flame monitoring) are fabricated and wired to any size or configuration based on customer requirements. MSI’s engineers use an innovative program for wiring schematics where designs can be tested before ever leaving the computers. MSI’s panels have been used in many diverse industries and are designed to meet your specific NEMA ratings. From PVC to steel, fiberglass, and even stainless there are a multitude of panel options and layouts. In addition to our quality panels, we also offer in house electrical contracting in many parts of the Southeastern United States. From construction projects to industrial renovations, we have a solution for you. 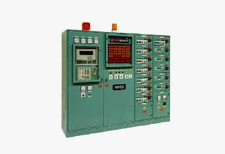 Whether you need something as simple as conduit, control panels or you need something as complex as automation Metro Services, Incorporated is your one stop source.